You must make an appointment to consign with us. We have a 50 items limit on small items. Our furniture item limit is much less and depends on space available. Office hours: Monday-Saturday from 9 am to 3:30 pm by appointment only. Store hours: Monday-Saturday from 9 am- 5:30 pm. We will start scheduling May appointments on March 1st. We always start scheduling appointments for 2 months in advance on the first business day of the month. If you only have furniture, we will be able to schedule something sooner (right now we are scheduling about 1-2 weeks in advance for furniture). If you need us to pick up furniture, you may also include boxes of small (non-furniture) items at the same time. We can usually schedule a pick-up within two weeks. If you have furniture, please email photos to info@treasuremart.com. If you have a scheduled appointment with us, you must let us know if you would like to bring furniture. We have to plan for space. You must have an appointment to consign items with us. We have a 50 item limit per appointment for small/non furniture items. Furniture item limit is much smaller and depends on space available. We will start scheduling May appointments on March 1st. We always start scheduling appointments for 2 months in advance on the first business day of the month. Our membership fee is $25/year. We have a 50 item limit for small items. If you only have furniture, we will be able to schedule something sooner (right now we are scheduling about 1-2 weeks in advance for furniture). If you need us to pick up furniture, you may also include boxes of small (non-furniture) items at the same time. We can usually schedule a pick-up within one to two weeks. Please email photographs of the furniture you would like to consign with us. Do I need an appointment to bring my items? YES! You always need an appointment to bring any items to us. Please call 734.662.9887 to schedule and appointment. How many items can I bring? What and how much we take is at our discretion at any time. Generally, we have a 50 item limit on small (non-furniture items)but that can change at any time. How much furniture we take varies and depends on available space in the store. What is your commission fee? Our annual membership fee is $25. Your account will automatically renew if you still have items for sale at the end of your year. As long as you have items for sale in our store, you need a current account. If you do not want to renew your account, it is your responsibility to come and retrieve your items. Our commission fee ranges from 35% to 50%. If you bring your items to us: Items priced at $5 and higher start at a 35% commission fee. Items priced at $4 or less start at a 50% commission fee. If we pick-up your items: Items priced at $5 and up start at a 40% commission and items priced at $4 and under are 50%. (there is also a $50 surcharge for the truck) All items in our store convert to a 50% commission rate after they have been here 4 months. Can I (or do I have to) take my items back? You may take back your items at any time. You will have to find your things in the store and bring them to the office to sign them out. We reserve the right to dispose of items at any time at our discretion. We will only call you about picking up your items if they are expensive, such as fine jewelry or furniture. Otherwise, they get donated, recycled or thrown away when we feel they cannot be sold. How are the items priced? We are happy to price all of your items for you. 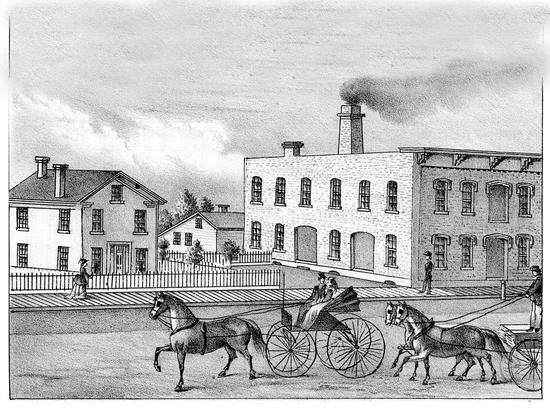 We base our prices on the current market for your item at The Treasure Mart. Our goal is to price your things fairly and have them sell within the first 30 days. Of course, this doesn’t always happen, and items will take markdowns every month that they are here. Please tell us if you have a price in mind so we can discuss the price before you leave. How long does it take for things to get onto the floor for sale? It depends on how much research is needed. Most things will get put out into the store the same day. Sometimes, when we have something expensive or rare, it might take a few days to research its value. 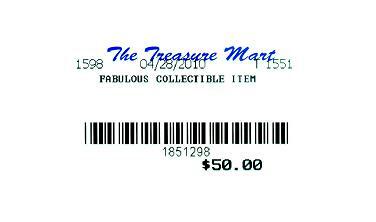 Another interesting feature of shopping at The Treasure Mart is the MONTHLY price reduction on ALL items priced at $5.00 or more. These items are tagged with a bar-coded ticket stamped with a date at the top center. A 10% discount is issued automatically every month from the date on the ticket. An item that has been in the store for a month from the date is 10% off, 2 months 20% off, 3 months 30%, etc. The discount is always computed from the original price, and no bar-coded items are ever reduced below $2.00. Also, miscellaneous items of $4.00 or less, which are identified with a sticker only, are not subject to the monthly reduction. YOU MUST MAKE AN APPOINTMENT TO BRING IN CONSIGNMENT ITEMS. PLEASE CALL THE OFFICE AT 734-662-9887.